OLD VILLAGE PAINTS capture the charm and character of Colonial, Federal and Victorian periods. 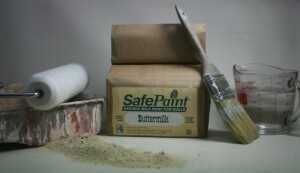 Perfect for furniture, walls, decorative accents, interior and exterior woodwork. Easy to use. Soft-sheen velvety finish. Old Fashioned Milk Paint Co.